A hybrid biological and mechanical race that brought death and destruction to the colonies of the Helion Nexus. In the past the Biomechs, and their erstwhile allies, the Twelve (named for their twelve worlds) worked together in harmony. Never content with their position, the Biomech turned on their allies. A handful of Biomechs under the ancient Z'Kanthu rebelled and joined in the doomed resistance. After suffering terrible losses fled to the stars, never to be seen again, leaving the Biomechs in control of the Black Rift, and poised for war with their neighbors. The Biomechs use Biomechanical ships that are stronger and more advanced than their enemies and capable of self-repair, even in combat. 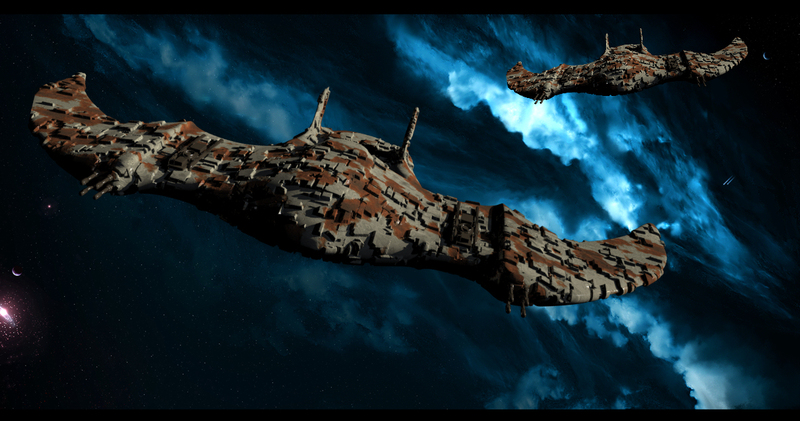 Their Biomanta cruisers are numerous, and provide support to their Ravager carriers and battleships. Cephalon command ships operate as flagships and dwarf even Biomech battleships. Their fighters are small and agile, and capable of operating without crew.